Farmers from Kufr al-Deek, Deir Istiya, and Qarawat Bani Hassan towns, west of Salfit, are complaining that their lands are being stolen at the hands of the Israeli occupation authorities (IOA) but not by the ordinary ways of stealing like bulldozing and confiscating, but under the name of protecting "nature reserves" which is a prelude to misappropriate the Palestinian lands. 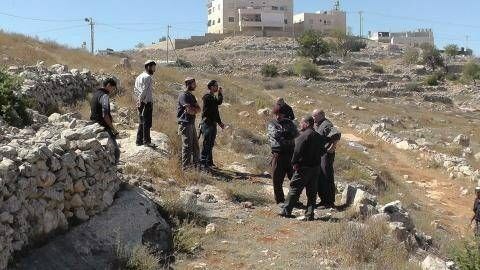 Palestinian statistics indicate that the IOA and Jewish settlers are controlling about 70% of Salfit lands. Nature reserves have become an easy pretext to confiscate more Palestinian fertile lands. Amal Qoqash, mayor of Deir Istiya, affirmed that the IOA has confiscated spacious agricultural lands in Wadi Qana under the pretext that the area is a nature reserve. Settlements like Yakir and El Matan and others have been expanded at the expense of Palestinian-owned lands, according to the mayor. She added that the settlers have taken control over two wells close to Rafafa settlement and that they are confiscating more lands to expand the settlement bypass road leading to Wadi Qana. "In the beginning of 2014, the IOA and the so-called Israeli Nature and Parks Authority uprooted more than 2000 olive trees arguing that Wadi Qana is a nature reserve, and I'm afraid that I might lose my land at any moment under this fallacious pretext," Ali Mansour, a farmer from Deir Istiya, said. Dr. Khalil Tufkaji, Chairman of Maps Department at the Arab Studies Society, asserted that the IOA is using Israeli laws specially tailored to serve Palestinian lands' confiscation. He also drew attention to the gravity of the Israeli decision to divide the West Bank to six regions separated from one another. For his part, the Palestinian researcher Khaled Maali stressed that the Israeli Nature and Parks Authority is expelling the Palestinian farmers and confiscating their lands under pretext of protecting the nature reserves while the Palestinian farmers have been preserving the natural balance for hundreds of years. Maali said that there are more than 30 Israeli nature reserves that misappropriate more than 10% of the West Bank lands, three of which are in Salfit, and added that in 1983 the IOA declared Wadi Qana and other fertile agricultural lands "nature reserves". Maali affirmed that the Palestinians are aware that the Israeli occupation is using the nature reserves as a means to legalize the Palestinian land grab, and highlighted that this flagrantly violates the international law and The Hague convention which protects the civilians, their lives, careers, and their lands from being confiscated. 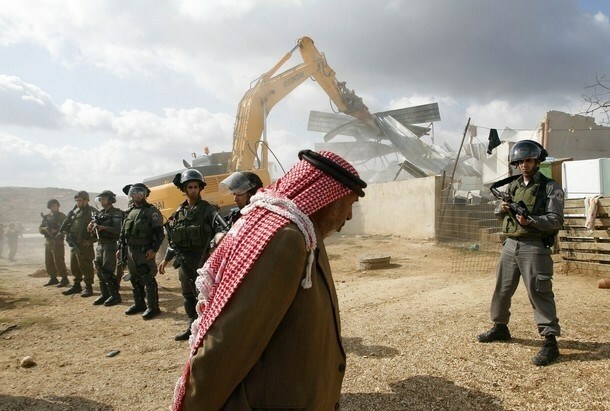 The occupation bulldozers demolished on Tuesday morning two houses owned by Abbasi family in the village of Jabal Al-Mukabber. Abbasi family explained to Wadi Hilweh Information Center that the two houses are owned by Mohammad Saeed Abbasi and his brother Khaled. Mohammad explained that the family started building the two houses a month and a half ago and they were supposed to move-in in the new few days; note that the two families consist of 9 individuals. Mohammad added that his house is 140 square meters and his brother’s house is 120 square meters. He also added that the demolition came without prior notice while the family was attempting to obtain a working permit from the municipality. Abbasi said that large Israeli forces including police and Special Forces along with municipality’s employees and bulldozers raided the area around 5:30 a.m. and closed the area and then proceeded with the demolition without the presence of any of the owners in the area. The occupation’s bulldozers had demolished last March the foundations of a building owned by Abbasi family in the same area. Hundreds of Palestinians on Sunday participated in a march protesting Israel's annexation and bulldozing of vast tracts of Palestinian-owned land in Beit Jala near Bethlehem city for the expansion of the separation wall. Anti-wall activist Elie Shahadeh said that hundreds of protestors led by Muslim and Christian religious and national figures marched to the annexed land, which the Israeli occupation authority had embarked on preparing for the construction of the wall. 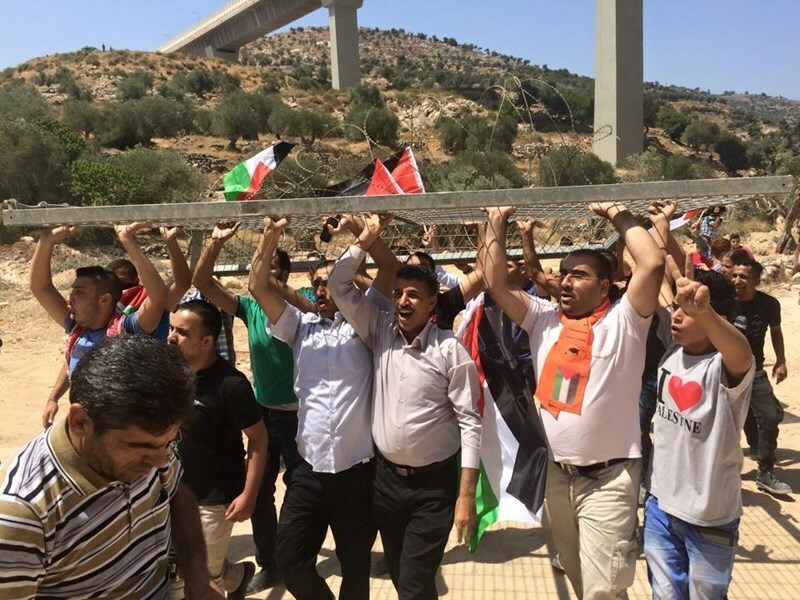 Shahadeh added that the protestors removed an Israeli iron gate at the entrance to the land, placed Palestinian flags in the soil and chanted slogans protesting the construction of the wall and calling for resisting the occupation and its expansion plans. A human rights center in the 1948 occupied territories affirmed that the Israeli Occupation Authority (IOA) has carried out a wave of demolitions in the Israeli-controlled C Area, east of the West Bank, during the last few days. The Israeli Information Center for Human Rights in the Occupied Territories 'B'Tselem' said in a press statement on Sunday that on Thursday crews of the Israeli Civil Administration demolished two houses in Aynoun village east of Tubas, displacing eleven citizens including seven minors in addition to demolishing a livestock barn in the same area. The statement added that the Israeli forces also razed a house belonging to a Palestinian family that consists of eight individuals including three minors in Khirbet al-Deir town close to the Jordanian borders. The IOA also demolished an under-construction house in Khirbet Samra community, southeast of Tubas. The IOA prohibits the Palestinians in most residential communities in the Jordan Valley and other West Bank areas from permanent residence and from connecting their houses to water and electricity infrastructures, according to the human rights center. "The authorities left nineteen persons, including ten minors, in conditions of extreme heat without any solution," the statement said, and pointed out that on Thursday the scorching temperature in the Jordan Valley reached 41 °C. B'Tselem pointed to the fact that this is the third time this week the IOA has knocked down civilian homes and structures in the C Area and that the wave of demolitions left dozens of people homeless in the extreme August heat. Since August 5, 2015, the IOA has demolished 65 residential buildings in the Palestinian communities in the Jordan Valley, in the vicinity of Ma'aleh Adumim settlement, and in the southern area of al-Khalil. A total of 167 people have lost their homes in these actions including 101 minors, according to B'Tselem. 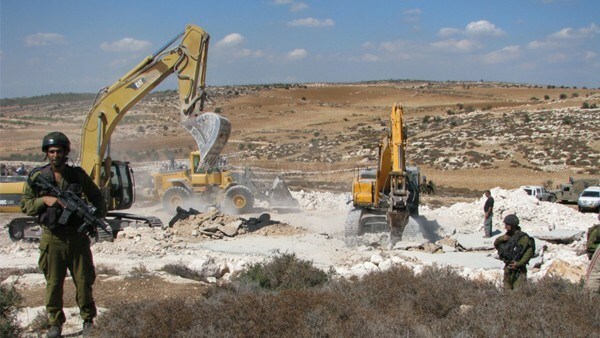 "These demolitions take part in the context of efforts by the military and the Civil Administration to push Palestinian communities out of Area C," the statement said, adding: "these expulsion plans run counter to the provisions of international humanitarian law, which prohibit the forcible transfer of protected persons, unless carried out for their own protection or for an imperative military need." Palestinian institutions and groups in Jaffa city, west of the 1948 occupied lands, intend to stage a massive rally on Sunday to protest an Israeli plan to Judaize the whole neighborhood of al-Ajami. The protest rally will be held at six o'clock in the evening in the heart of al-Ajami neighborhood, where the Israeli occupation authority plans to establish its project. The Israeli Judaization plan includes the evacuation of the seven remaining Palestinian families from the neighborhood and the construction of 63 housing units for Jewish families. Hebrew sources revealed that Israeli municipality in Occupied Jerusalem is to build a temporary park for five years on Mount of the Watchmen over lands owned by Palestinians. A Hebrew weekly newspaper stated that the park will be established over 1300 dunums of Palestinian lands located between al-Tour and al-Isaweiyeh towns in Occupied Jerusalem. Palestinians of both towns appealed to the Israeli local affairs court demanding cancellation of the municipality’s order which was described as a new method of confiscating Jerusalemites’ lands, the newspaper stated. Four years ago, the municipality tried to establish a state park in the area, but the regional appeals committee refused the proposal after Jerusalemites appealed it, the Hebrew newspaper pointed out. Israeli Occupation Forces (IOF) prevented Palestinian farmers from accessing or working in their lands located to the south of Beit Ummar town in northern al-Khalil. 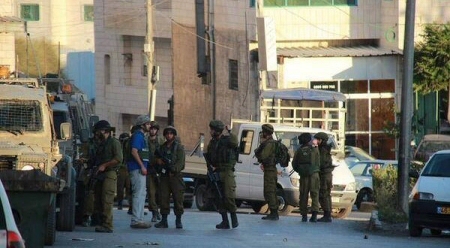 Local sources revealed that Israeli forces were deployed in large numbers in Palestinians’ lands adjacent to the Jewish settlement, Karmi Tsur, established by force on Beit Ummar and Halhoul lands. The Palestinian farmers were barred from getting access to their lands under false security pretenses, the sources pointed out. The sources said that the Israeli forces have been banning Palestinians from entering their own farms since the beginning of August. Meanwhile, Karmi Tsur settlement has been expanding whereas Jewish settlers continue storming Palestinian lands in the region under the protection of Israeli forces. 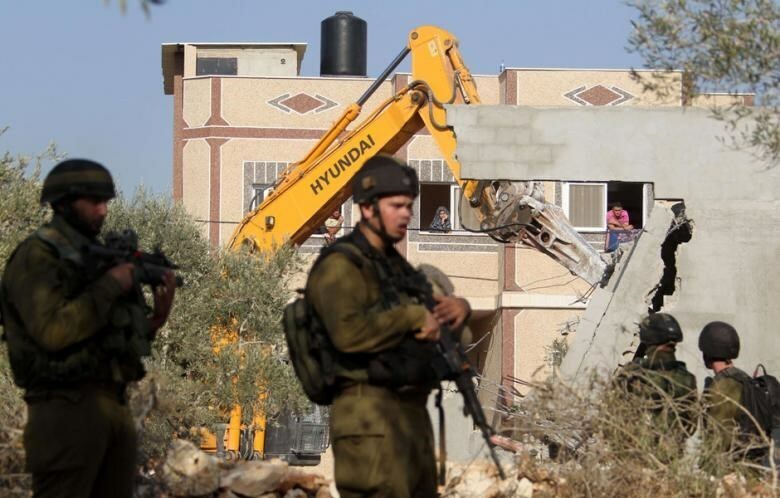 The United Nations on Friday announced that the Israeli Occupation Authorities (IOA) demolished 63 houses and other structures this week alone. The UN figures said that "demolitions made 132 people homeless, including 82 children, accounting for a quarter of the displacement from demolitions in 2015 and marking the highest number of people rendered homeless from demolitions in nearly three years". The report said that since the beginning of the year, the IOA has demolished at least 356 buildings, 81 of which are funded by international aid. They occurred in Area C, which is controlled by the IOA and which is more than 60 percent of the West Bank area. He explained: "The relocation plan for these communities would effectively remove Palestinian presence in and around the planned E1 settlement project. This project anticipates the construction of thousands of new Israeli housing units in the West Bank on the outskirts of Jerusalem." Piper clarified that Israel is aiming to relocate 7,000 of the Bedouin residents in these area to the Jordan Valley which is considered by the UN and human rights defenders a forced displacement. The UN said that on Monday alone, the IOA demolished homes, makeshift accommodations, and tents of 78 Palestinians including 49 children. 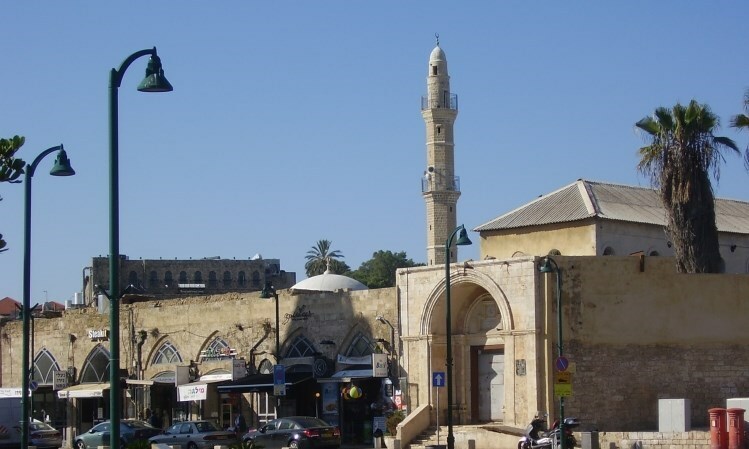 The Israeli municipal staff in Occupied Jerusalem notified on Thursday the demolition of the al-Qaaqaa Mosque, in Jerusalem’s town of Silwan, under the pretext of unlicensed construction. Activist Fakhri Abu Diab said Israel has pursued a policy of arbitrary demolitions in an attempt to mar the life of Palestinian Jerusalemites and force them out of occupied Jerusalem so as to set the stage for settlement expansion particularly around the Old City and the holy al-Aqsa Mosque. 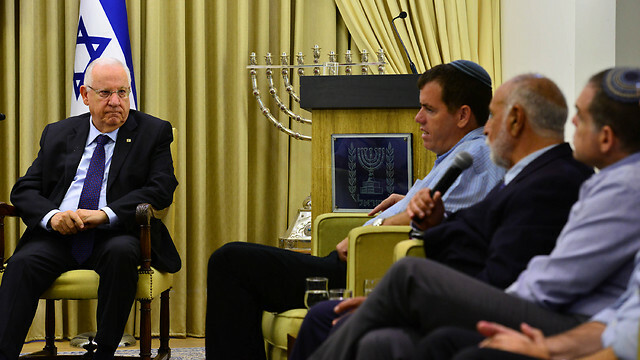 He said demolitions make part of Israeli intents to Judaize the city and wipe out its typically Islamic character. 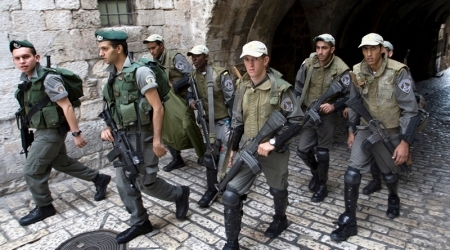 Member of the Mosque’s supervision personnel, Sheikh Hani Abu Tayeh, said the Israeli municipal crews, escorted by police officers, ordered the evacuation of the holy site within no more than a week’s time. He said the Mosque, where over 5,000 worshipers have been performing their prayers, was built several years ago and is Muslims’ only place of worship in the area. He added that the Israeli occupation has been propping up construction of settlement units and synagogues in the area at the expense of Muslims’ own rights. In a related development, the Israeli local affairs court issued a decision to knock down the Wadi Helweh stadium in Silwan, covering an area of a dunum and a half, along with its surrounding facilities, including a 15-square-meter storeroom and a 40-square-meter animal pen. The Israeli occupation has ceaselessly strived to Judaize Occupied Jerusalem and its Islamic sites, resorting to such projects as the Jewel of Israel synagogue, pubs, and settlement expansion to wipe out the Islamic idiosyncrasy of the city. The Israeli occupation municipality’s court for local affairs issued an order to demolish the facilities of Wadi Hilweh playground which is run by Madaa Silwan Creative Center in Occupied Jerusalem. Wadi Hilweh committee revealed, in a statement on Thursday, that the municipality court decided to remove Wadi Hilweh playground which is 1500 square meters in area in addition to demolishing its facilities (a 15-square meters storage and a 40-square meters animals barracks) and also sweeping the plants and asphalt. The committee added that the demolition order was issued by the occupation’s municipality at the beginning of last June and could be appealed within 30 days. The committee, however, received the order by mail after two and a half month from the issuance date. Ahmad Qaraeen, member of Wadi Hilweh committee, explained that the municipality’s order is issued against an “unknown” and anyone who challenges the order will be fined and would have to pay the demolition expenses in an attempt to prevent anyone from challenging the order. It is noteworthy that the municipality is fully aware of the owners of the land as they had previously fought with the municipality to maintain their land; the playground was previously raided several times and the owners were arrested. Qaraeen added that the land is owned by the heirs of Atallah Siam and is being used by Madaa Silwan Creative Center for the children of Silwan in particular and Wadi Hilweh inhabitants in general where activities are organized throughout the year as the town lacks playgrounds and parks for children. He pointed out that the municipality attempted to confiscate the land in 2007 to turn it into a parking lot and serve the settlers in Silwan but was challenged in the Israeli courts. In 2009, Madaa Silwan Creative Center turned the land into a playground for children with the approval of the District court. 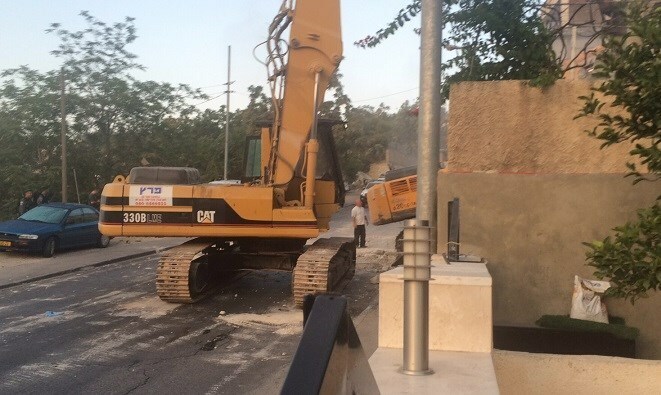 Several orders were issued against Wadi Hilweh playground. The Israeli Nature and Parks Authority demolished its facilities in 2012 (cultural cafe, barracks, storage facilities and restrooms) under the pretext of “removing trash”, Qaraeen pointed out. 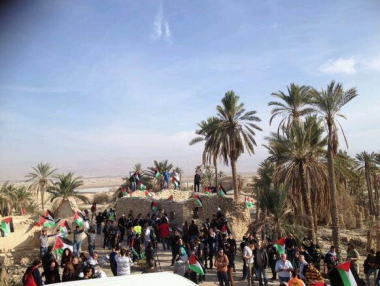 Qaraeen warned of the danger of demolishing the playground which could open the road for building a road to be used by settlers in the area and a prelude to confiscate more lands and demolish more houses in the future. 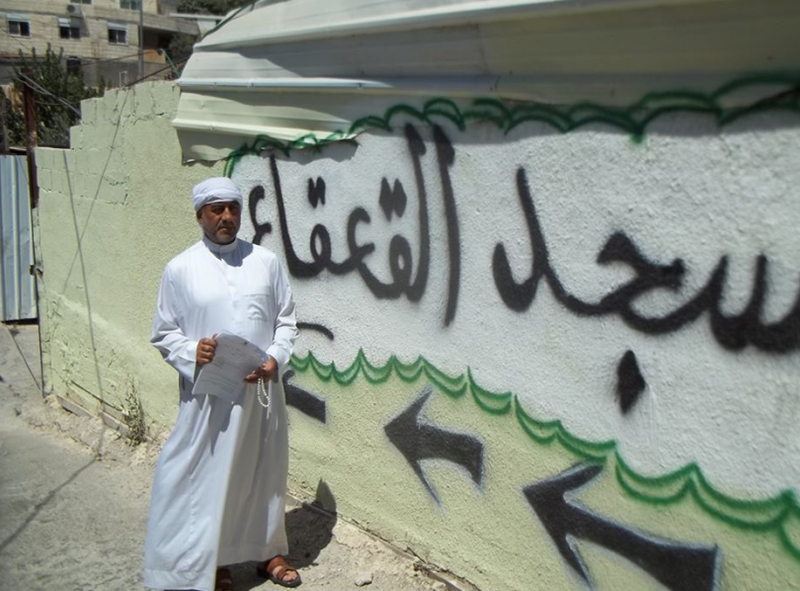 The occupation authorities aim to connect the area of Wadi Hilweh to Wadi Al-Rababa and reaching to the neighborhood of Al-Thori in Silwan, he added. The playground is considered the only space available for the children of Wadi Hilweh where activities are held by Madaa Center throughout the year, Qaraeen underlined. He denounced the order of removing and demolishing the playground while Elad settlement organization is establishing “caravans” in a land they recently confiscated, which confirms the policy of racism and double standards followed by the municipality against the Arab population in Jerusalem.